It's time to recognize and reward exceptional direct service workers. Every profession has a means to recognize excellence - Oscars, Grammys, Halls of Fame - we believe the social services sector needs a similar award. Since our inception in 2007, the Superstar Foundation has developed and refined a mechanism for highlighting exceptional work in direct service delivery. Veronica Awards reinforce the importance of using data to drive results. Superstars motivate, inspire and support their clients and use data to ensure their efforts lead to the intended outcomes. Each Veronica Award winner receives a check from the Superstar Foundation and has their story and data memorialized in our web-site so that they can serve as peer-leaders in the sector. Since 2007, the Foundation has made 29 awards for a total of $160,000. Each year, we look to award at least four direct service staff who can substantiate their high performance with data with $5,000. In 2015, the Superstar Foundation expanded beyond the Veronica Awards and began to work with other organizations interested in elevating high performance on the front lines of this work. Using the same online nomination process and scoring tools honed over the past eight years, our partners are able to easily identify their own "Superstars" — whether internal to an organization or based in a region or among a group of grantees. By partnering with organizations that share our belief in the power of using data to drive better services and outcomes, the Superstar Foundation hopes to continue to expand the potential pool of nominees for Veronica Awards and advocate for high performance. Partner "Superstar" Awards are always accompanied by a check written directly to the direct service worker who demonstrates high performance. The awards range from $500 to $5,000 and the Superstar Foundation will either match (in the case of an organization) or fully fund (in the case of funders or other intermediary groups) the award amount in the first year. Superstars are more than the stories they tell. Applications/nominations must be accompanied by de-identified data that substantiates the superior performance of the candidate. Great data accounts for 60% of the scoring! While there may be many Superstars in a single organization, the Foundation will not award two Superstars in the same organization in the same year. Applications are reviewed and scored by "first round" judges. The top 10% of the applications received are then reviewed and scored by a 3 member panel of the Superstar Foundation Board to determine the ten best applications/nominations. These candidates will move forward to the final round for scoring by the full Board of the Superstar Foundation. Reference questionnaires are reviewed in the final round. Click here to subscribe to our email list for Superstar News & Updates. 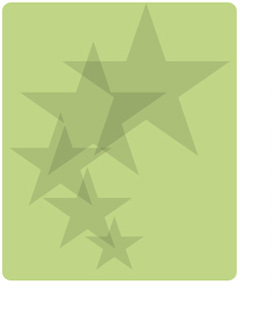 All winners must provide the Superstar Foundation with a picture of themselves (jpeg or gif file) and approve a press release written on their behalf before they will receive their award. Checks are made payable to the applicant or nominee directly. Want to be inspired? Check Examples of High Performing Direct Service Workers in Our Virtual Hall of Fame.